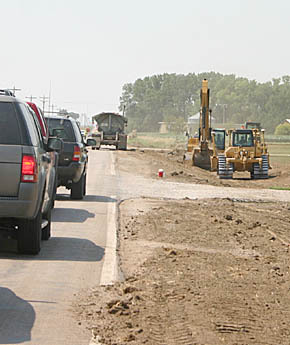 Shoulder work was underway last week on Highway 14 between Albion and Petersburg. The asphalt surface will be milled and resurfaced to a 28-foot roadway. Anticipated completion is late fall of 2012.